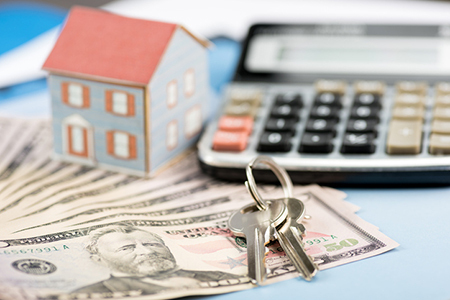 (TNS)—Home prices have shot up in some areas of the U.S., to the point where buyers need jumbo loans to finance them. In mortgage-speak, jumbo refers to loans that exceed the limits set by the government-sponsored enterprises (GSEs) that buy most home loans and package them for investors. Jumbo mortgages, or jumbo loans, are those that exceed the dollar amount loan-servicing limits put in place by GSEs Freddie Mac and Fannie Mae. This makes them non-conforming loans. As of 2018, these limits are $453,100 in all states except for Alaska, Guam, Hawaii and the U.S. Virgin Islands, where the limit is $679,650. The conforming limit is higher in counties with higher home prices, so be sure to check your area’s loan limits. The three common hurdles borrowers must clear to get jumbo loan approval are larger income, higher credit scores and greater reserves, says Robert Cohan, president of Carlyle Financial in San Francisco. “If you’re high-leveraged and you have a low credit score, it’s going to be hard to get a jumbo loan,” Cohan says. Borrowers should be prepared to show enough reserves, or assets, to cover between six and 12 months’ worth of mortgage payments. The down payment on jumbo loans is, on average, between 10 and 20 percent. The rates on jumbo mortgages fluctuate and may be higher or lower than the conforming mortgage rate. Recently, a 30-year jumbo rate was 4.62 percent, eight basis points lower than a conventional 30-year fixed rate of 4.71 percent.